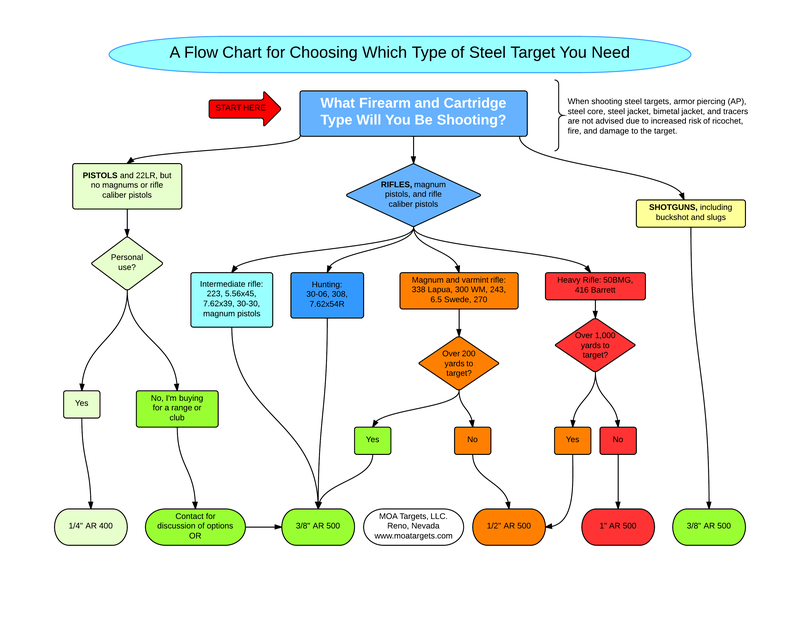 Blog posts related to how steel targets work from a materials science basis. A while back, we got a message from a friend asking if we knew anything about WWI tank armor. 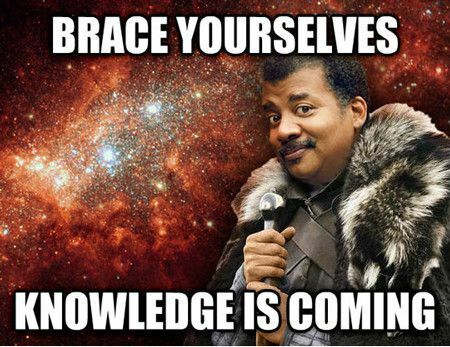 We didn’t, but with the power of the internet, we figured it out fast. Short version, 1/2″ AR450 is roughly equivalent in spec to what was used by the Brits. 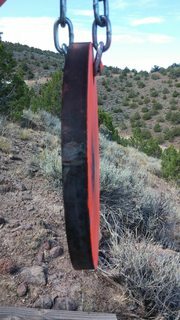 The whole project was put on by and documented by our friends at https://www.forgottenweapons.com Full article linked below. 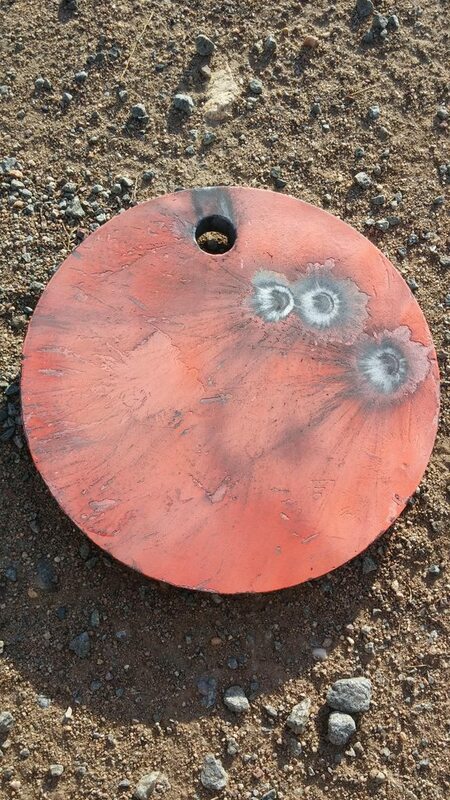 MOA Targets currently makes targets from four different steels. 3/8″, 1/2″, and 1″ AR500 for rifles, and 1/4″ AR400 for service pistols and rimfire. The 500 & 400 part is the Brinell hardness, where 400 is softer than 500. 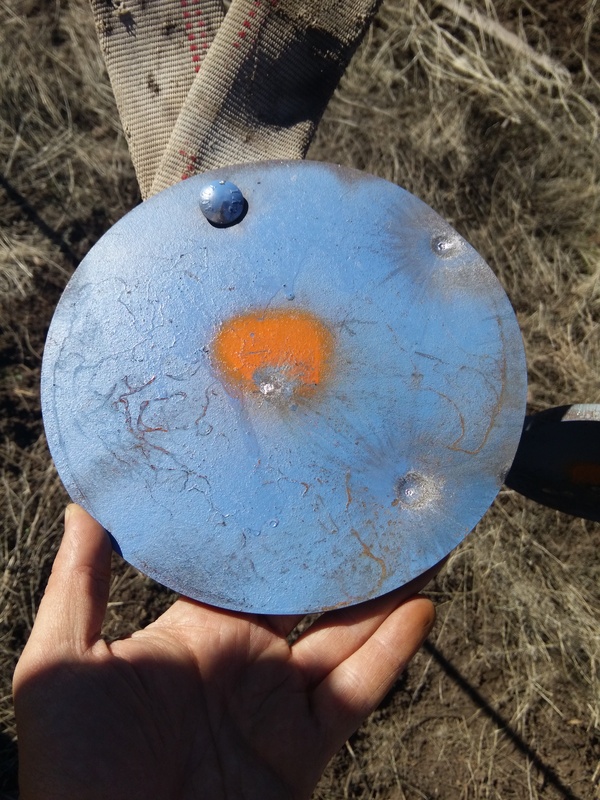 We’re always working to improve our data and widen the use of steel targets. 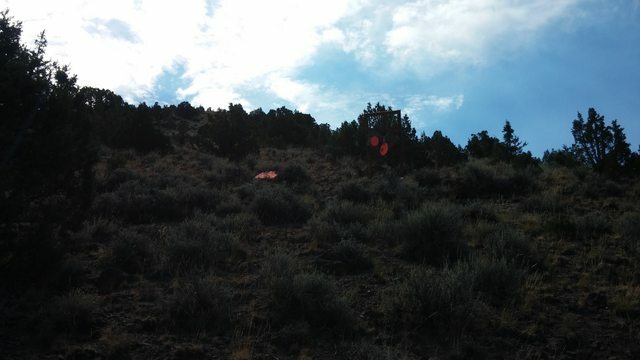 Being based in northern Nevada, we’ve got lots of wide open spaces to shoot long range. 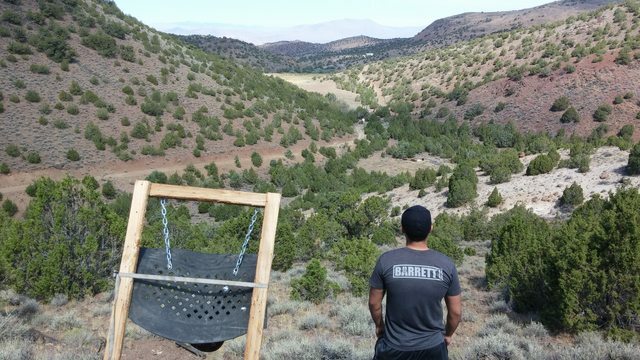 300 yards is common and up to 1000 yards isn’t unusual for long range shooters out here. 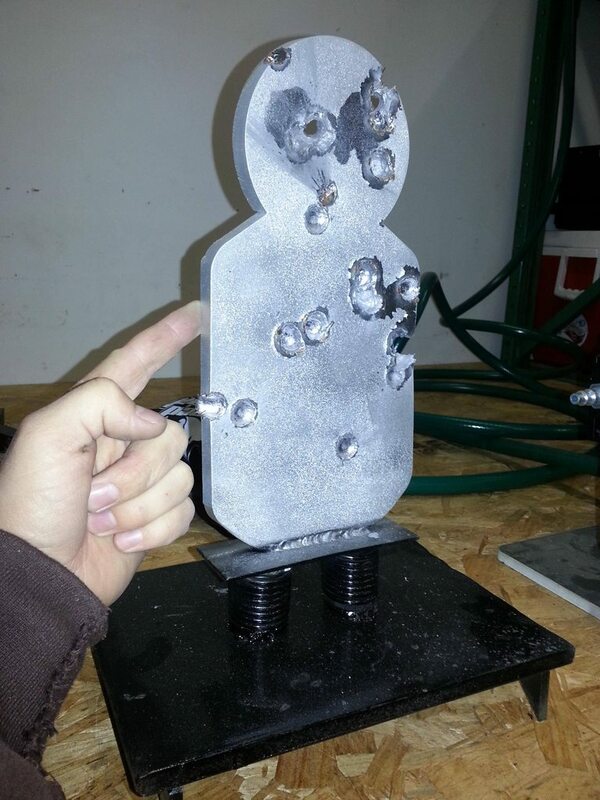 Recently, we figured out at what distances you can shoot the 1/4″ AR400 pistol targets with rifle. The tl;dr is 556 at 300 yards, 308 at 500 yards. Limits on use are: 2500 fps at the target (as opposed to 2800 fps with AR500) and 1000 ft/lbs of energy at the target. The details of the test are below. Our testing was primarily conducted with 5.56x45mm 55gr ammo fired from a 16″ barrel AR15 and 7.62x51mm 147gr ammo fired from a 16″ barrel AR10. 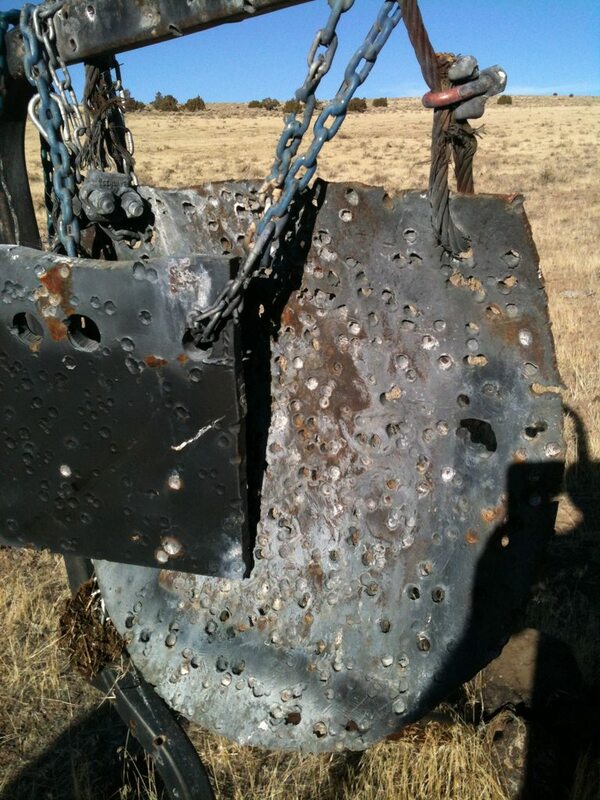 The initial test was at 300 yards. Initial test platform. 8″ diameter 1/4″ AR400 gong, on MOA A-Frame bracket based stand. 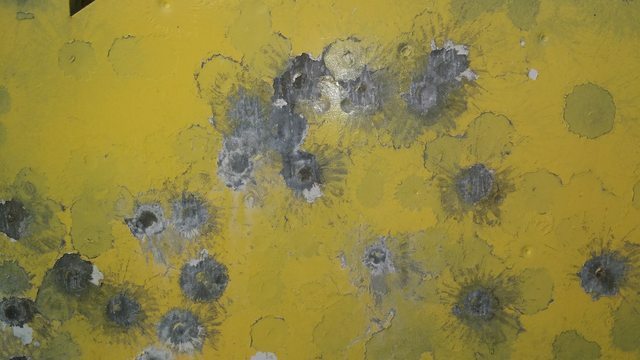 At 300 yards, 5.56x45mm put a visible hit on the metal target but did no damage. 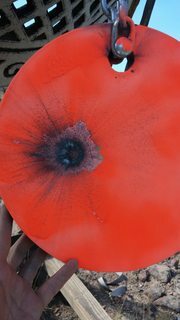 The 7.62x51mm dented the target pretty badly. 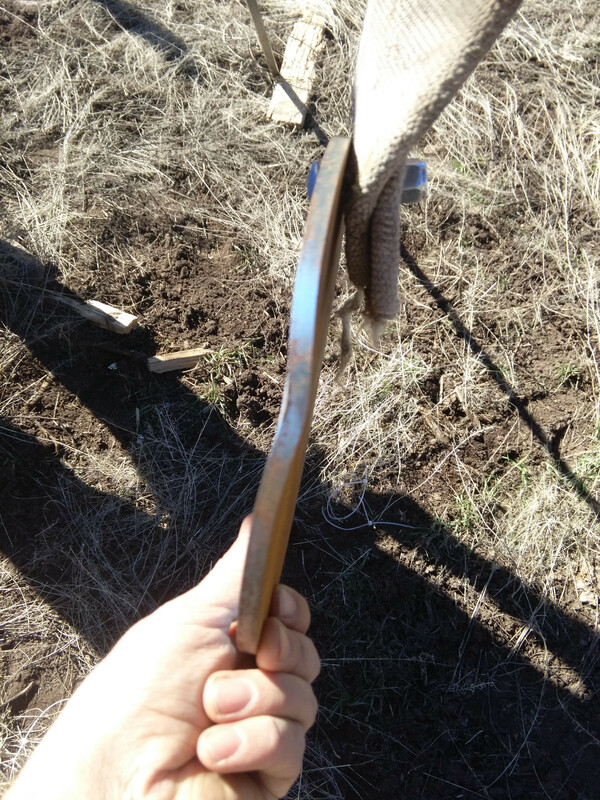 Deformation of edge strike by 6.5CM at 300 yards. 1/4 AR400 steel gong. 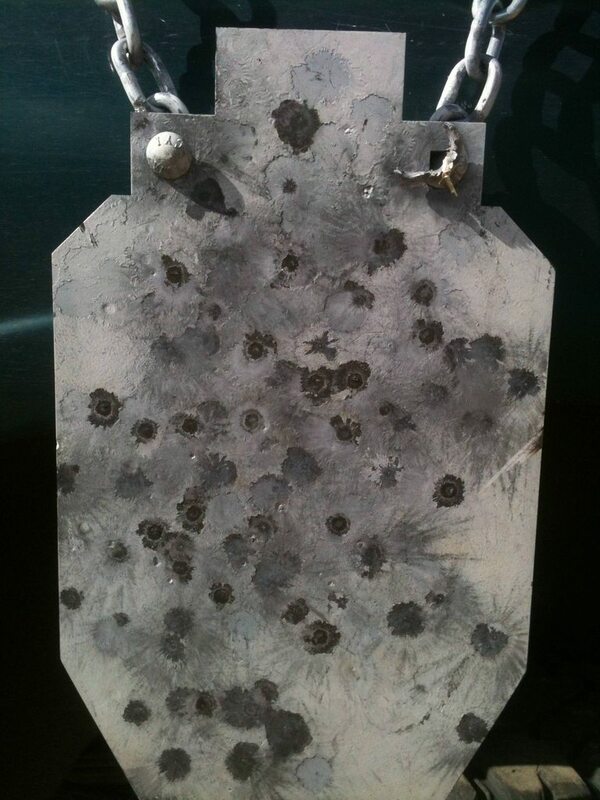 With these results in hand, we backed out to 800 yards and switched to 7.62x51mm and 270WIN. 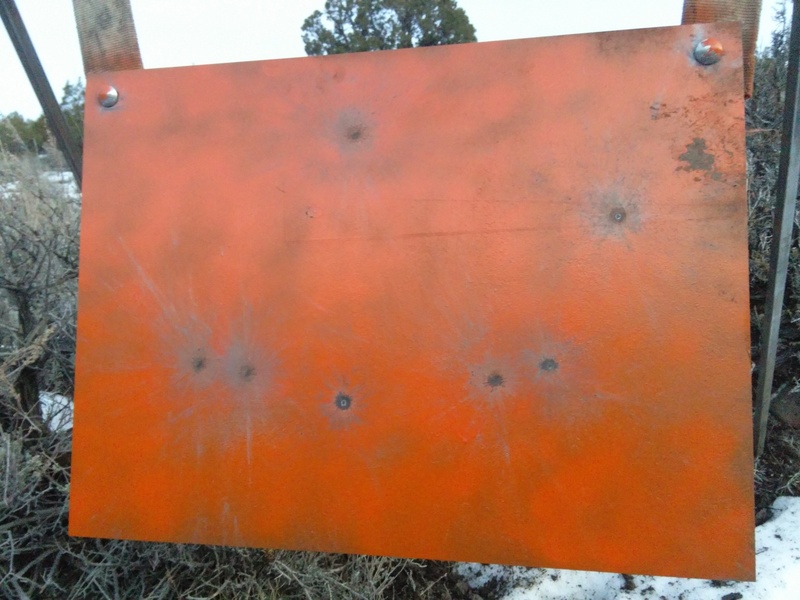 We also upped the target to a 18×12″ 1/4″ AR400 test plate, which is a standard size MOA product. 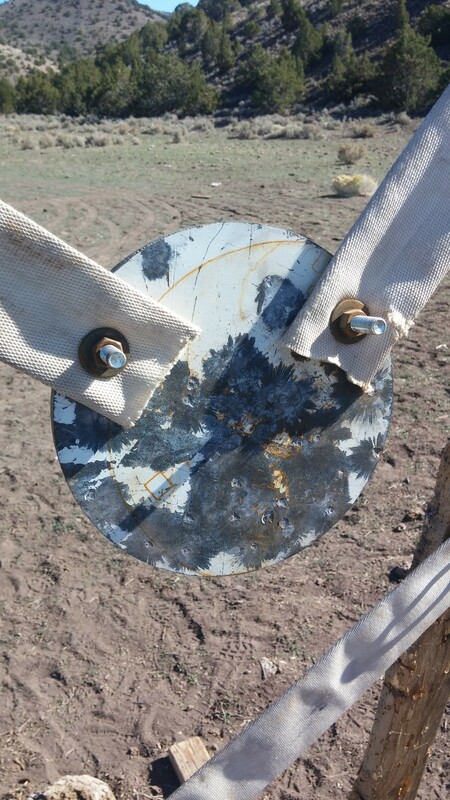 At 800 yards we got a great ring sound off this thinner than usual rifle gong and no damage. Ditto when we moved in to 600 yards. At 500 yards, the sound was excellent, and we did a careful examination for damage on the target. No damage noted at 500 yards. 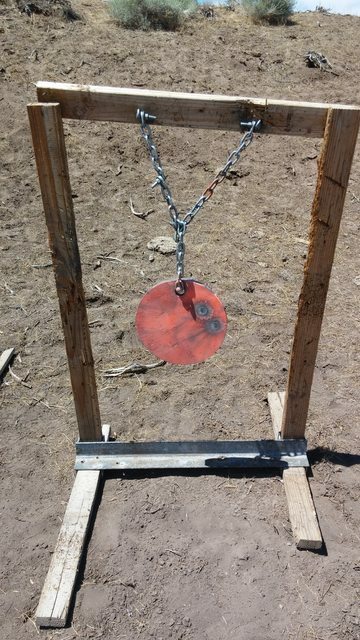 12×18″ 1/4″ AR400 steel rifle gong. As engaged at 800, 600, and 500 yards with 7.52x51mm and 270WIN. No damage. Edge view of 1/4″ AR400 steel rifle target. As engaged at 800, 600, and 500 yards with 7.62x51mm and 270WIN. No deformation of target noted. At this point, we discontinued the test, as the math showed that if we moved in much closer we would start seeing deformation of the target. 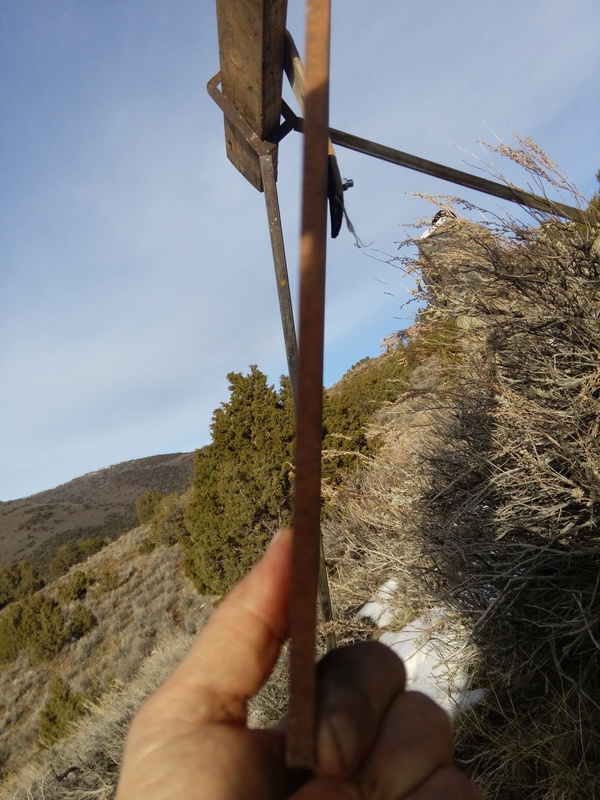 At distances less than 500 yards, long range shooters typically aren’t using a very large target, which reduces the need for a thinner (lighter) gong. Advantages with using 1/4″ AR400 for long range rifle include: reduced weight and cost by going with the thinner material; improved sound return by going with the thinner steel; improved visibility of swinging target when struck, by reducing target mass. Disadvantages with using 1/4″ AR400 for long range rifle include: increased minimum engagement distance to prevent damaging the target, 300 yards for 556 instead of 100 yards with 3/8″ AR500 and 500 yards for 7.62x51mm (308WIN) instead of 100 yards with 3/8″ AR500; and explaining to your friends why you are using 1/4″ AR400 and what that means. The minimum distances are recommendations only. These distances are based off the calibers and conditions as tested, with a result of a maximum velocity of the projectile at the target of 2500 fps and a maximum energy at the target of 1000 ft/lbs. That means you’re gonna have to break out your ballistics charts before you go throwing rifle projectiles at pistol targets. As a result of this testing, we have a new package deal for long range shooters. This package includes a 10×20″ 1/4″ AR400 steel rifle target, a set of A-Frame brackets, and 18″ firehose hang kit to put it all together. This package runs $100, and ships for free USPS flat rate. 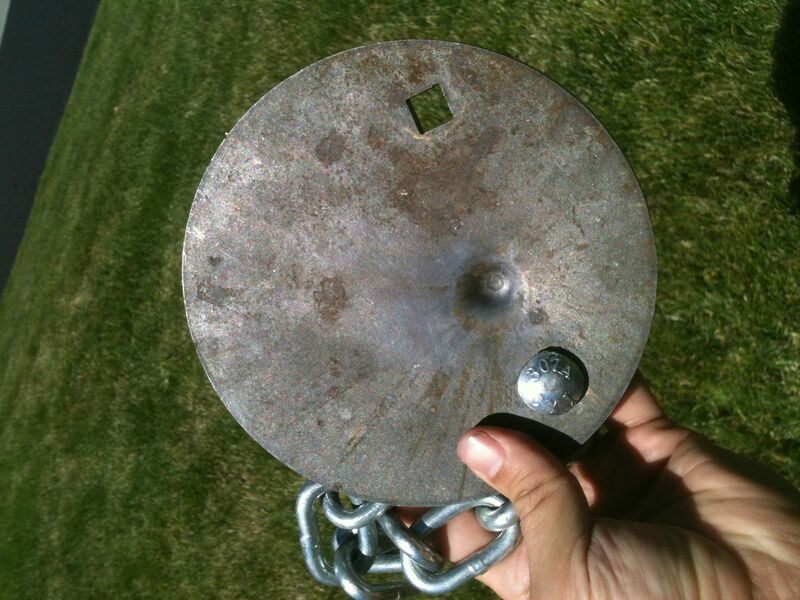 For another $60, you can add a second 10×20″ gong and the hardware to combine the two gongs into a 20×20″ target. Neat. As a follow up to the new 1/4″ AR400 long range kit we did the same thing but in 3/8″ AR500, so you don’t have to worry about the increased minimum engagement distance. Same package details but in 3/8″ AR500. Out the door at $150, plus $100 for a second 10×20″ gong if you want to go big. QA/QC testing MOA Steel with 5.45x39mm. A while back, an MOA customer contacted me with a “Is this normal?” type question regarding 5.45x39mm leaving pits on AR500 steel. I shoot quite a bit of 5.45x39mm myself, but all of it is milsurp 7N6 steel core ammo, which should not be shot at steel targets. 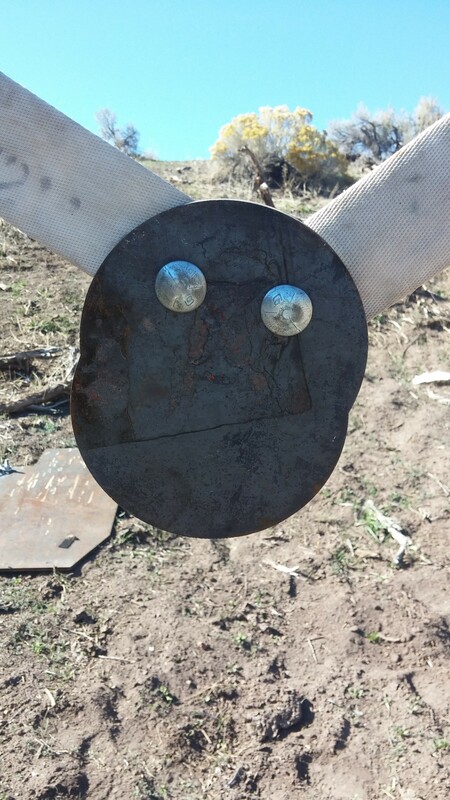 The customer in question had been shooting a variety of 5.45, none of which was steel core. 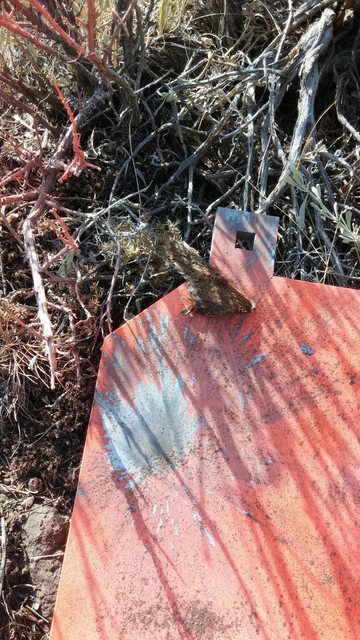 To answer the “Is this normal?” question, he kindly returned one of his targets to me and included a box of each type of ammo he was using for testing. After being used by customer with 5.45x39mm rifle and 7.5mm French thingie. 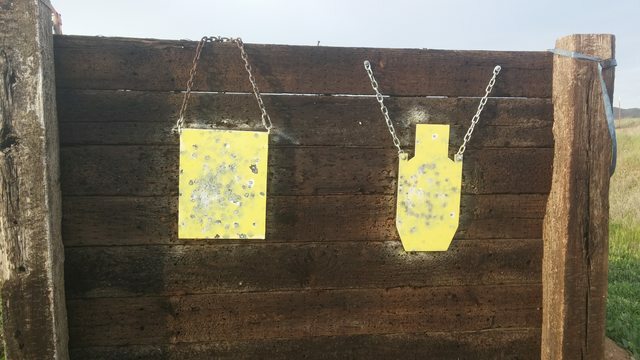 MOA started cutting a QA/QC target out of each sheet of AR500 used in making targets, to act as a test bed a couple months ago. It also provides a great excuse to have more targets for the MOA range. The Customer Target is from an older, pre QA/QC batch. AR steel is through hardened, not surface hardened. The hardness should be consistent throughout the sheet. 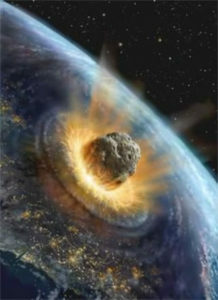 However, as this is the real world, and the testing is destructive. Each batch is tested, not each sheet, and not each section of sheet. Pitting on factory steel is not uncommon, and softer and harder spots can exist. Additionally, the method used to cut the steel can affect hardness. MOA Targets uses a 4,000 watt CNC laser to do the cutting. It makes nice, smooth cuts, and has a heat affect zone (HAZ) typically less than 1/8” on 3/8” AR500. Torch cutting will have a far larger HAZ, as will plasma. Water jet has no HAZ, but is much, much slower. For control, three known standards (known to me, anyhow) were used as well as the various 5.45 loadings. 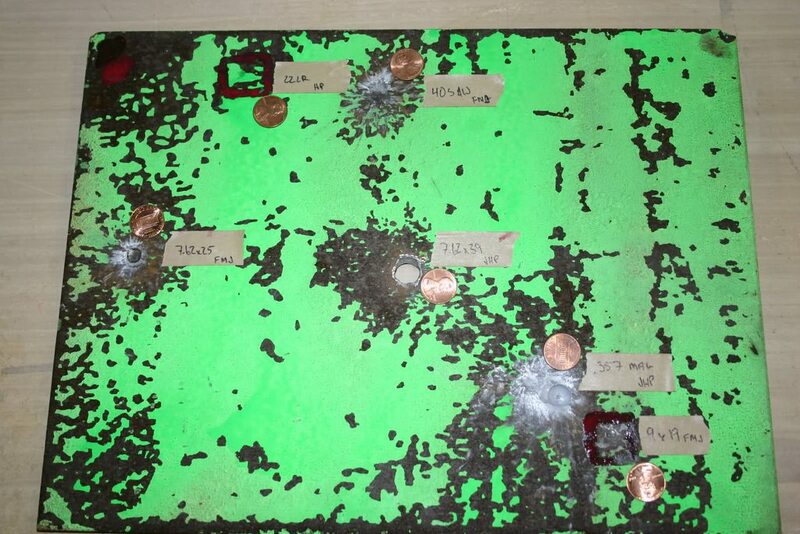 Controls were 7.62x51mm DAG milsurp with a 150 gr lead core nickle washed steel jacket projectile, 5.45x39mm milsurp 7N6 with a 52 gr steel core copper jacketed projectile, and 5.56x45mm XM193 with a 55 gr lead core copper jacketed projectile. Photos from the testing can be found here. 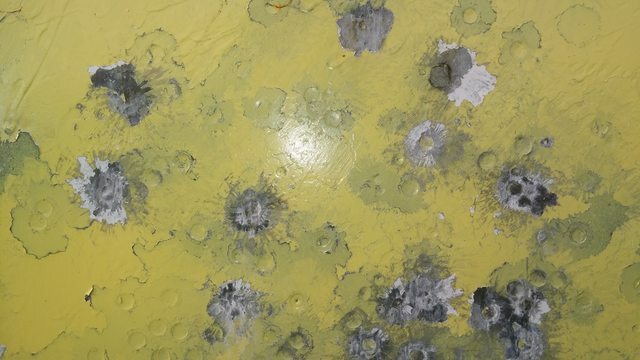 The QA/QC target from a recent 1/2” AR500 batch was used for the test, as a standard to test the Customer Target performance against. 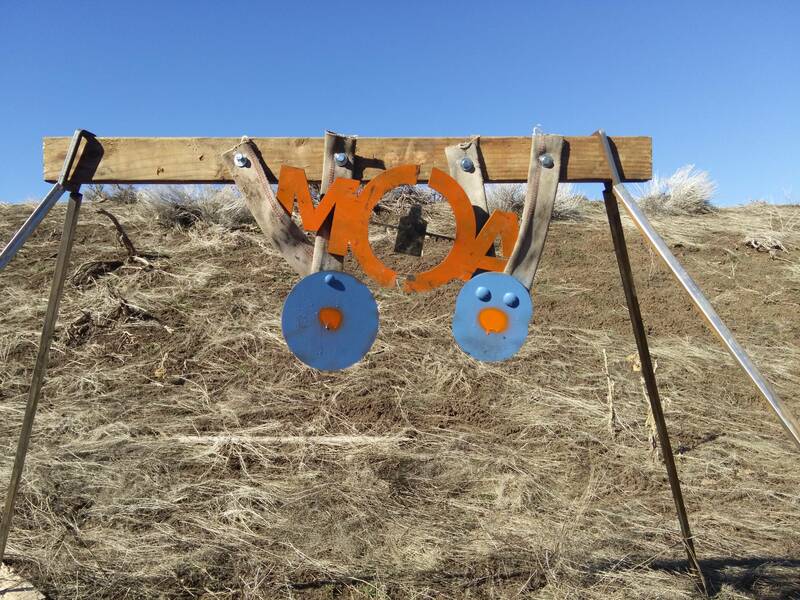 All testing was conducted at 100 yards on MOA’s private range. 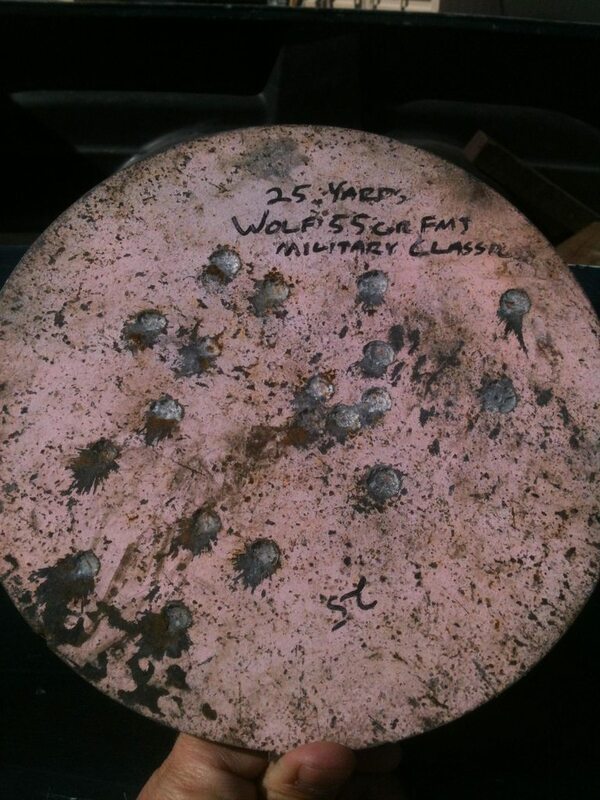 Test ammunition, provided by the customer, included Wolf 60 gr, 69 gr, and 55 gr loadings, and Silver Bear 60 gr, all lead core with a copper washed steel jacket. Additionally, Hornedy 60 gr VMAX was provided, which is lead core with a copper jacket and a polymer ballistic tip. At the conclusion of the test, it was evident that both the QA/QC and the Customer Target performed well within expected spec, but that the QA/QC target (from a more recent batch) appeared to be harder. And that’s how we do science at MOA Targets. PS: For the curious, the customer will be getting his target and ammo shipped back to him, along with some “Thanks for helping out with science” steel from MOA.